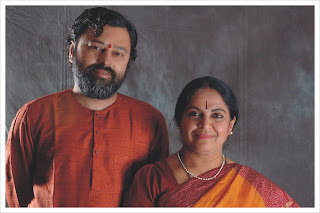 Shri Pattabhiram and Smt. Jyothi Pattabhiram – couple, the directors of Sadhana Sangama Trust, are the direct disciples of Swami Rama of the Himalayas. Shri Pattabhiram is a disciple of Swami Rama of the Himalayas. He studied under great philosophers and yogis including J.Krishnamurthy, B.K.S.Iyengar, and Swami Vishnudevananda before becoming disciple of Swami Rama. 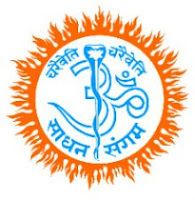 Shri Pattabhiram is also guided by masters of Sri Vidyaranya tradition in the science of Sri Vidya. He travels extensively to teach, inspire and guide people with the wisdom of yogic science. In his workshops he gives profound understanding of yogic science in the context of modern life and complements it with systematic practices that can be easily followed on a day to day basis. Smt. Jyothi Pattabhiram is an accomplished Bharatanatyam dancer and a teacher by passion. She learnt the art and philosophy of dance from various renowned teachers in India. She is also a disciple of Swami Rama of the Himalayas. She has trained hundreds of students in classical dance and has also choreographed many well acclaimed dance-dramas. Smt. Jyothi Pattabhiram blends the art of dance and the science of yoga and teaches unique ways of evolving spiritual dimensions of ones personality through art, dance and music.